• Checked over and tune up done. Brakes and tires checked, correct pressure and replaced if necessary. • Carry spare tire and spare tire for RV. “Tire in a can” for emergency repairs. • Roll of heater hose and clamps, oils, fuses, electrical tape, duct tape, tools, voltage meter jerry can with gas. • Electrical connections checked. All running lights and brake lights. Batteries cleaned and tested. • Propane connections checked and fridge, stove, and furnace. • Roll out awning, spray metal moving parts with WD40. Roof check for cracking or leaks. • Tires inflated to proper pressure (listed on side of tire). Inspect for cracks. Replace if tread is down to 1/16”. Check brakes. • Pressure reducer connector for water hose. Hose that is long enough for hard to reach hook-ups. • Pack extra sewer hose, or use a 20’ hose. Check for splits. 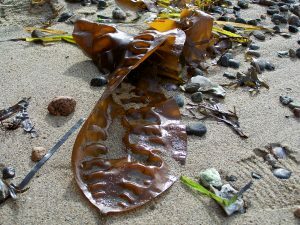 • Spray bottle of bleach water or can of spray Clorox to disinfect water hoses. Don’t assume others only use potable water hoses for water. • Get medical check-up before leaving; let your doctor know where you’re going, and get prescriptions renewed. • Stock up on prescriptions. Keep an empty pill bottle for all the information. Pharmacies in Ontario and Quebec won’t refill out-of-province prescriptions except at hospitals or clinics. 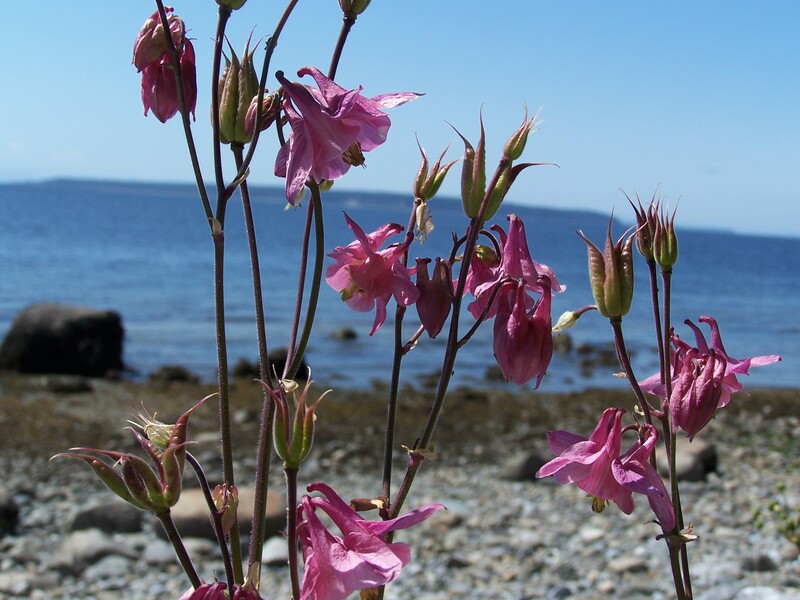 • Pack your medicine cabinet: cold and allergy remedies, vitamins, aloe vera jell for burns (keep it in the fridge), pain killers, contact lens rinse if contact wearer, mosquito repellant, besides carrying a good first-aid kit in the vehicle. • Confirm that your medical insurance covers you out of province; if not get some. • Pet medical: up-to-date shots and papers. • Put a batch of wine on? 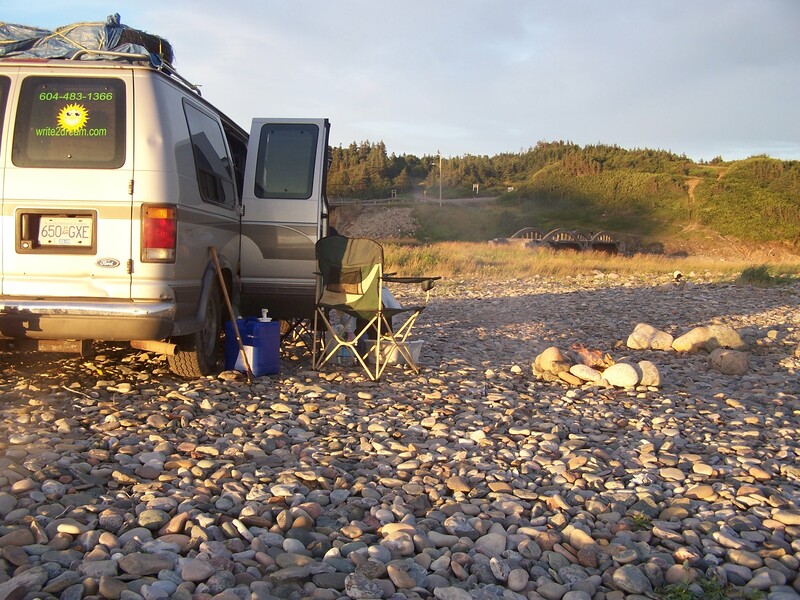 • Copies of RV Times, RV West or RV Lifestyles in a binder for valuable travel and repair tips. • Travel log or journal. You’ll forget the little details when you get home and wish you remembered the name of a place etc. • Don’t over pack clothes but even if its summer pack cool weather clothes and footwear. • Battery chargers for cameras and cell phone. • House and plant sitter. If away more than a couple weeks home insurance may not be valid if home is left untended. Check with insurance company. • Wills up to date, executor has copy and knows where you’re going. Family has their contact information and written instructions if you should die while away. • Let credit card companies know you are travelling or for security reasons they may decline charges. • Who will check the mail or send it on for you? • Home computer backed up and files stored out of the house. • If no one is staying in your home, unplug computer and other equipment, shut off hot water heater. Turn down home thermostat low enough it will only come on if it gets cold. • Photo-copy Passport and all important cards: credit cards, driver’s license, social security, medical, insurance. Keep one copy with you and leave one copy in your safety deposit box or with family. • Traveling with a lap top, activate WIFI unless you’re using another method of connecting to the internet. • Cell phone: Make sure you have the best long distance plan, most minutes. Install SKYPE (www.skype.com ) in computer for free computer to computer calling or very cheap calls to land lines. • All utility payments online or automatic bank withdrawal. • Create a blog(www.blogger.com) or Yahoo( www.yahoo.com) site to post messages and pictures to. Invite family and friends to sign up so they can keep up with your travels. • Take address book. Leave rough itinerary with family in case something happens and they know where you are. • Online address’s and passwords to important web sites or newsletters. We are surrounded by riches when we are aware. Never, never give up no matter how fragile the hold on your dreams! Sassyscribes is a friendly, encouraging group of writers with many levels of expertise from around the globe. No harsh critiquing , but rather a shoulder to lean on when necessary and a “KIP” …kick in pants if needed. Monthly meetings are held in Powell River. 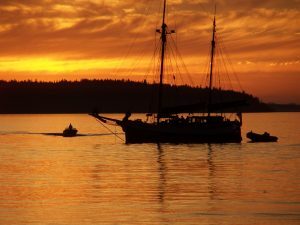 An online writer’s retreat that at times morphs into the real thing …a retreat held in an exquisite setting in the Powell River area. My husband Dave has sold his driftwood across Canada in many forms. From cute little ornamental pieces to large garden roots to glass topped tables, he does it all. He also carries cottonwood bark for carvers. Powell River Writers Conference Created in 2003 to give writers and wannna be writers a place to learn the craft, this festival grown up into a conference is truly a celebration of the craft of writing and the joy of reading. Held in the spring as a two day affair it has motivated many writers to not only get started but continue on to become published authors. Deborah Wright, editor of RV Canada On A Dime And A Dream has a lifelong involvement with the joys and intricacies of the English language. A retired English professor with a wonderful sense of humour, she’s easy to work with. Punctuation Tips.com (Booklets)Deborah’s six “don’t be without” handy booklets on punctuation and grammar. Communication and leadership skills taught in a safe, friendly setting. It’s not just for those in public speaking, it’s for anyone interested in improving their communication skills. Join this international organization with clubs around the world. I’ve been part of Sunshine Speakers club in Powell River for almost 10 years, and without it I wouldn’t be the proficient presenter I am. Check out the club nearest you. A member of the BCATW, an organization for those involved in writing about travel. It can be purchased directly from Randy or if you’re local from me for $20. Practice Linkin’-Thinkin’ vs Stinkin’-Thinkin’ and watch your world expand. 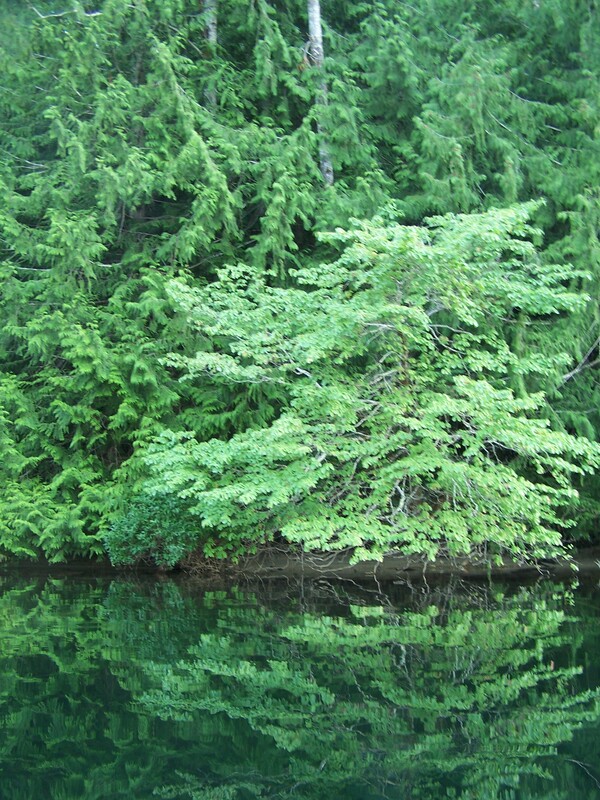 Free BC magazine full of tips and stories from RV’ers, and many of my articles. 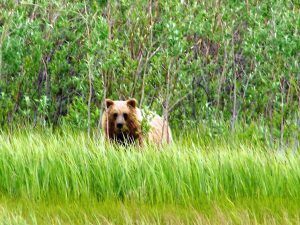 Free BC magazine that carries my series about our 2009 northern trip. Jaimie Bruzenak, publisher and full-timer for longer than I’ve owned an RV has a web site and very useful newsletter. 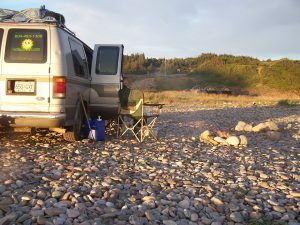 Her ezine “RV Home Yet?” is full of trips, tips and tidbits. I wonder how many times I asked Dave, “RV there yet” on a long trip? Published seven times a year it has many interesting stories. Once a year it includes a BC campground guide. A free magazine out of Cranbrook, it’s practical and once a year includes an RV dealer directory. If you’ve dreamed of selling everything and living the RV lifestyle full time, this is for you. An online book store whose cyberspace shelves are brimming with every kind of book on RV’ing you could wish for. An annual June event held at the Okanagan College in Kelowna, RV’ers not only listen to presenters for three days but they also camp onsite making this an impromtu RV rally. Go to the college page, then click on RV Lifestyle Seminar. Never again will we wander around looking for a sani-dump because this site keeps adding new locations. A click on the map and you know exactly where you’re going to dump. 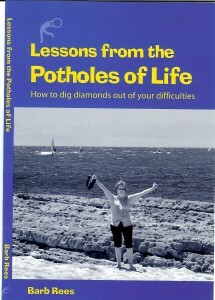 Lessons From the Potholes of Life is not only a very candid exposé of the author’s life, but it’s also a toolkit with exercises to help you dig for your own diamonds. 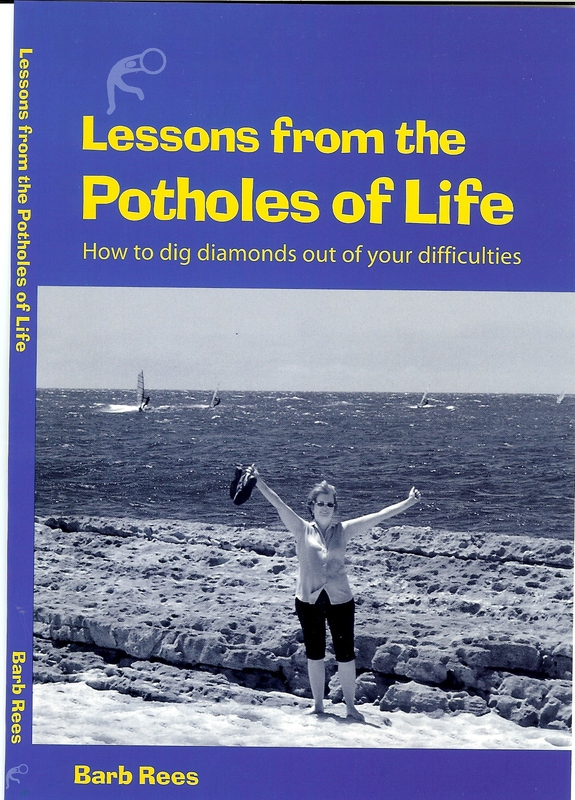 Barb’s book will give you the courage to turn what appear to be boulders of coal into valuable diamonds. Taken from 26 of her stories that cover everything from teen pregnancy, divorce, widowed, nervous breakdown, child rearing, death, and in the end a successful writing career and marrying her best friend. Although out-of-print at this time, orders are being taken for future publication. Until then, remember that no matter how deep the pothole you’re in with the world dumping crap on your head; if you dig hard enough you will always find a diamond at the bottom. It’s all in your attitude.